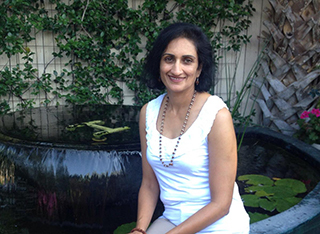 I am a Lincensed Professional Mental Health Counselor, Coach and an Ayurvedic Doctor. I hold a Master of Science Degree from the University of Dayton (2005). I also have a Bachelor degree in Ayurvedic Medicine and Surgery BAMS (1988). I am licensed in Colorado through DORA department of regulatory agencies and the Colorado state board of licensed professional counselors. I am also licensed in the state of Ohio through the Counselor Social Worker Marriage and Family therapist Board CSWMFT. I am experienced in the field of Mental Health for the past 12 years. I have been in the field of Ayurveda for 25 years. My life journey took me to the place I am today, and I’m grateful for the lessons and experiences that helped me learn to follow my heart. I chose to become a health and wellness coach, in addition to being a therapist and Ayurvedic doctor so I could help people who feel stuck and disempowered to find their authentic power and move forward in life to achieve their full potential with optimum health in mind, body and spirit. I’m sharing a bit of my journey with you not to get sympathy, but to let you know that I’m a survivor and have been through so many opportunities for growth. My journey helped me awaken to my own gifts so that I can now help you through your struggles. It matters to me that YOUR life is rich in blessings, and that you have the health and wellness to enjoy it. I grew up in India, the oldest of four. I was very sick with Allergic Bronchitis until my teenage years of sixteen. The home environment was difficult with an alcoholic and abusive father and an emotionally unavailable mother who had to carry the load financially, always struggling to make ends meet. I was not physically or emotionally healthy, and perhaps this led to my passion for becoming a doctor. I wanted to help others who struggled with the health and emotional issues that I was able to overcome. I went to Ayurvedic Medical College and became an Ayurvedic doctor, graduating at age 25. Marriage and children interrupted my career in the United States. I suffered from postpartum depression with all three pregnancies and was in a chronic state of Melancholy for many years. After my 3rd child went to full time school I decided to go back to school myself. This was a major turning point in my life. I got my Masters in Community Counseling and worked part time. I was a founding member of a Domestic Violence agency for abused women from South Asia. I volunteered my services for 10 years. Helping women empower themselves to become independent and strong individuals became my passion and joy. I worked part time as a therapist while raising my children. I also got my certification in Kundalini Yoga and Meditation. Finally, Free from all of the upheavals of my past I have embarked on this incredible journey of helping others with their Physical, Mental, Emotional and Spiritual wellbeing. As a health and wellness coach, Therapist (Licensed Professional Counselor) and Ayurvedic doctor I help people who are struggling with many of the same things I have been through and have overcome. Throughout my evolutionary process I took charge of my well-being and came to the realization that happiness comes from within. We cannot depend on the environment and we can’t blame our life happenings on others. It was my journey and I moved forward without regret. I balanced my emotional, mental spiritual and physical well- being through Contemplation, Exercise, Diet ,Lifestyle changes, meditation and Spirituality. I am delighted that I have achieved my dream of having a truly wonderful career that is in alignment with my passion and purpose. Most of my clients feel stuck and disempowered, and it gives me great joy to help them step into their power and move forward in life to achieve their full potential with optimum health in mind, body and spirit. If my story resonates with you, I would love to hear from you. Please feel free to contact me and we will together determine how we can embark on a journey that will be life changing for you. Getting the help you need is the first step, and I extend my hand in warm welcome.